You’ve all heard about those Aussies who wander around the world for a Gap Year (or two) and never go back. Well, I’ve found one in the French Alps who is now in her 30th year of world adventures. Nikki Shields Quinn was a chalet host in the winter and then a sailing chef for the summer during her original year off. She then extended her stay by working as a Hospitality Manager, running Neilson chalets and hotels around the French Alps. That was in 1999. 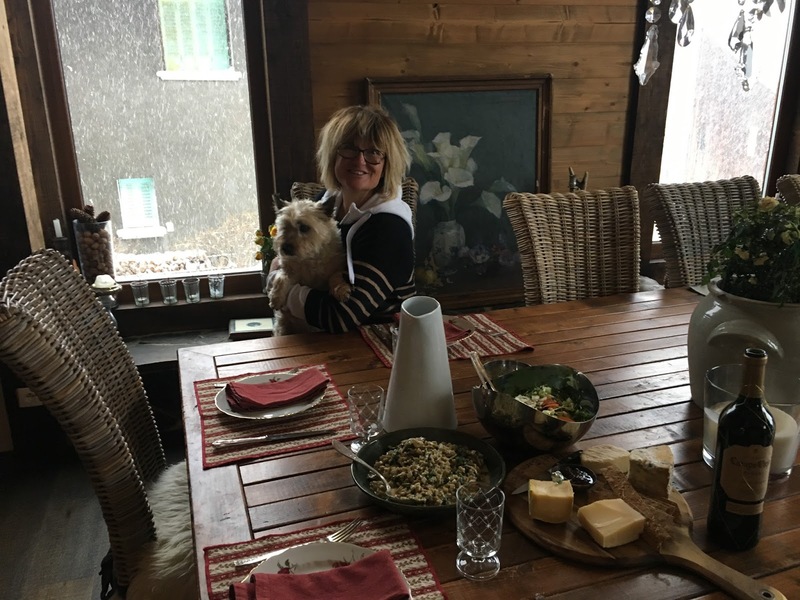 After a long career in Hotel Management and Catering, she’s now the proud co-owner of her own chalet operation in the village of Fontaines-Naves in the Tarentaise. 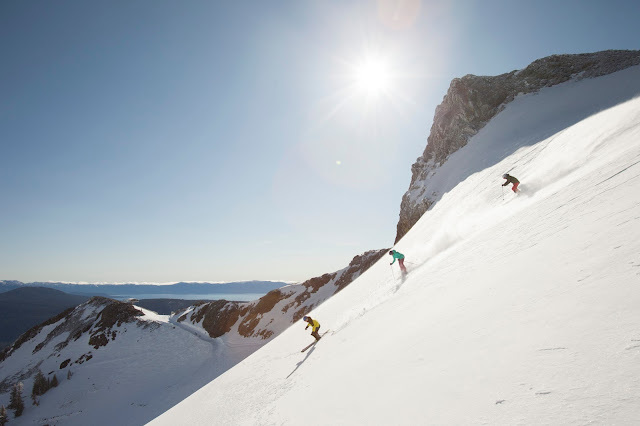 What was your skiing background before you came to Europe? Nikki: I did two ski seasons in Oz - Mount Hotham running a bar as work experience and Mt Buller as a trainee chef. How did you and Hugh hook up? Nikki: I met Hugh, who is from Northern Ireland, the year after l started with Neilson. He was an ex pro mountain biker and came to be the Neilson maintenance man (when foot and mouth hit the UK, all cross-country mountain biking comps ceased). He is a marine engineer by trade and impassioned by everything with two wheels. I had no idea at the time l met him that he could build anything l wanted - and he has! 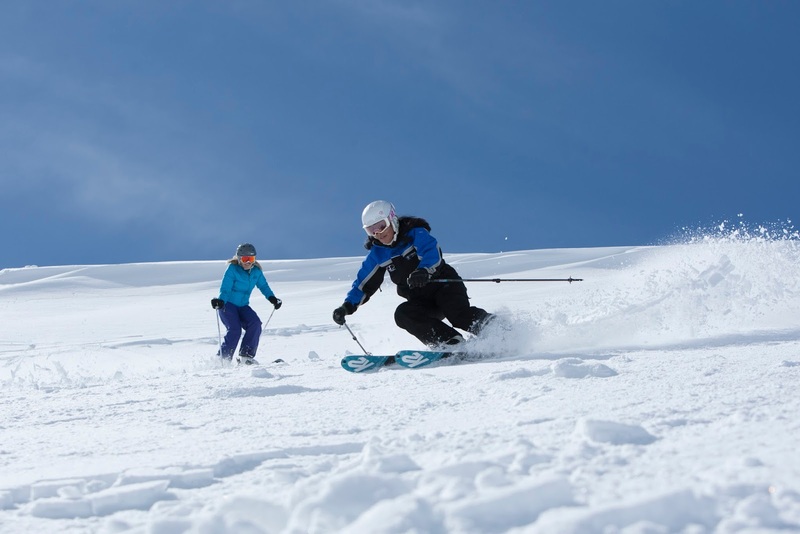 What wintersports do you both enjoy? Nikki: I ski, cross country, board, back country ski and snow shoe and Hugh is a boarder. I often take our guests snow shoeing, with a picnic or a restaurant stop at the refuge nearby which is at 2200m altitude. We can’t do ski guiding as this is now illegal in France unless you are French qualified. 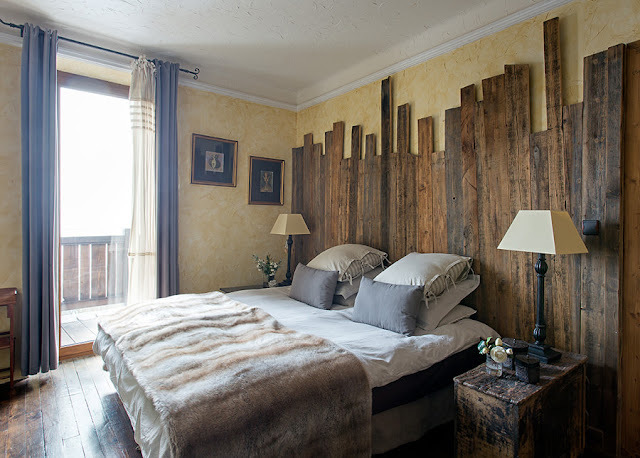 Tell me how you found your dream Alpine chalet? Nikki: We looked in the Savoie region for an old farm house to buy that we could make our own, large enough that we could eventually turn it into a bed and breakfast and potentially a cookery school later on down the line. Nikki: France indulged all my passions for food, ski, fitness, antiques and architecture. As for Hugh, he had the mountains on his doorstep with a bike and his snowboard, so he was always going to be happy. This dream house had to have an amazing view, be in a French Alpine location, in a small farming village, where we had neighbours all year round, and not far from the big ski resorts - the Three Valleys and Valmorel. How long did it take you to find the perfect place? Nikki: After a year of hunting we found an old ruin and bought Chalet Savoie Faire - it is remote but not lost. It took us 10 years to renovate – 550 square metres - and every part of it has been finished to perfection. During the build l was still working for Neilson, leaving the company two years ago. 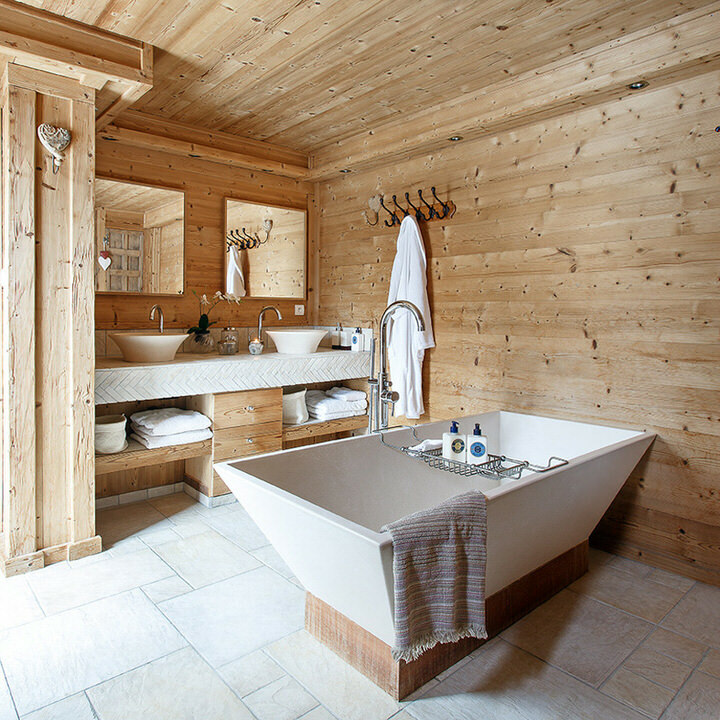 We officially launched Chalet Savoie Faire three years ago, 2015, and have never looked back. What makes Chalet Savoie Faire stand out from the competition? Nikki: I have been having a good think about what makes us different from other places in resort and around here. The main one is that we sell a unique mountain experience, it’s never duplicated, it’s worked only around the needs and desires of each individual guest. The main physical difference in what we offer is the location, we are rural, with a French farming feel although we are close to everything. This means that the landscape is not spoilt by chairlifts, noisy snowmaking machines, loud bars, cars and buildings. There is a certain guest who looks for this special place and when they find us they keep coming back at all times of the year. It’s a place to recharge, the air is fresh and the views unspoilt from every room. Also, there’s the facility of language and helping with a smile (unlike many establishments around us). We can arrange to meet and greet, and transport to and from the airports, which is generally what the English speaking guests like, no stress from the moment they arrive. 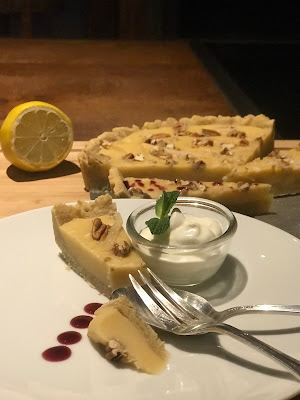 When they arrive at the property they can self-cater in their own fully-equipped kitchen or we can cook, serve and clean for them, they have the choice on any given day throughout their holiday. What clientele do you appeal to? Nikki: We are open year round and offer our guests a variety of options, because we soon learnt that they all come to us for different reasons, they are all ages and they all have their own expectations. 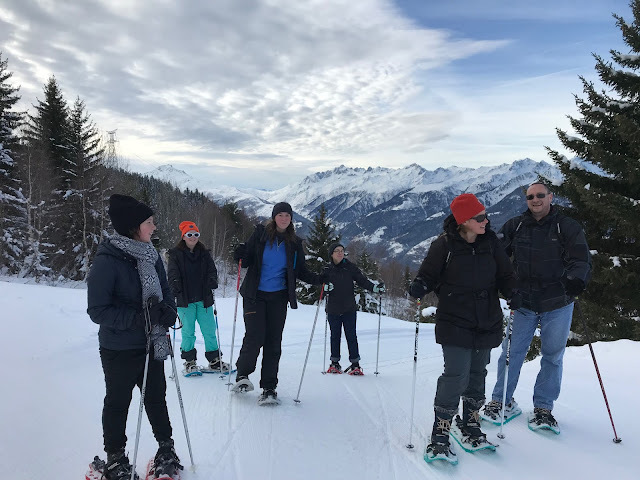 During the winter months we have families for Xmas and New Year, they rent the whole property for themselves and we serve breakfast and dinner each day, some ski, some walk, they all sledge, some chill, it doesn't matter as long as they are together. They are all doing some sort of snow-based activity. In January we tend to have couples who rent a room for themselves and don't mind sharing the house with others, or we have groups of friends who want to come and do a bit of everything - cross country skiing (35 km of tracks on the doorstep), snow shoeing through the forests or skiing at different Alpine resorts each day - Valmorel, Courchevel and Méribel are only a 35 minute drive from the property. The guests take off after breakfast and we don't see them again until 5 pm for afternoon tea and cake by the fire. 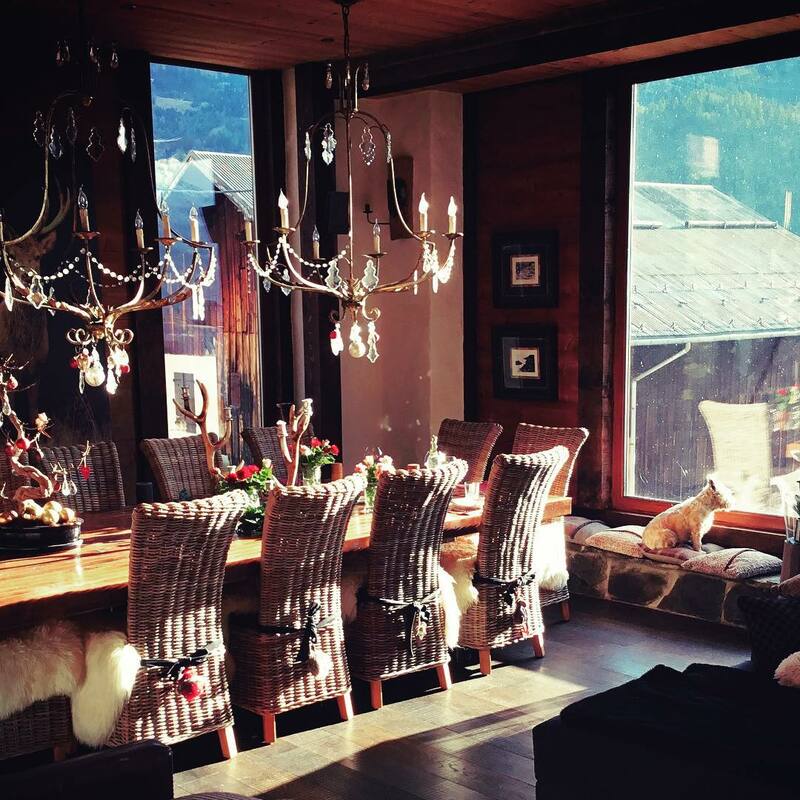 What nationalities have already stayed at Chalet Savoie Faire? Nikki: We have mainly British, American, Canadian and Australians at the house and a few French for cross country or backcountry skiing. Generally, our clients are middle aged professionals, semi-retired or retired. They are looking for a place with a certain quality, to be spoilt, to have peace and quiet, no pressure or the stress that comes with the knees saying “no" on certain days during a ski holiday. They can ski, snow shoe, hike or just sit in front of the fire with a book and a glass of red wine, listening to their choice of music - it’s their home away from home. Are there any new winter activities in your area? 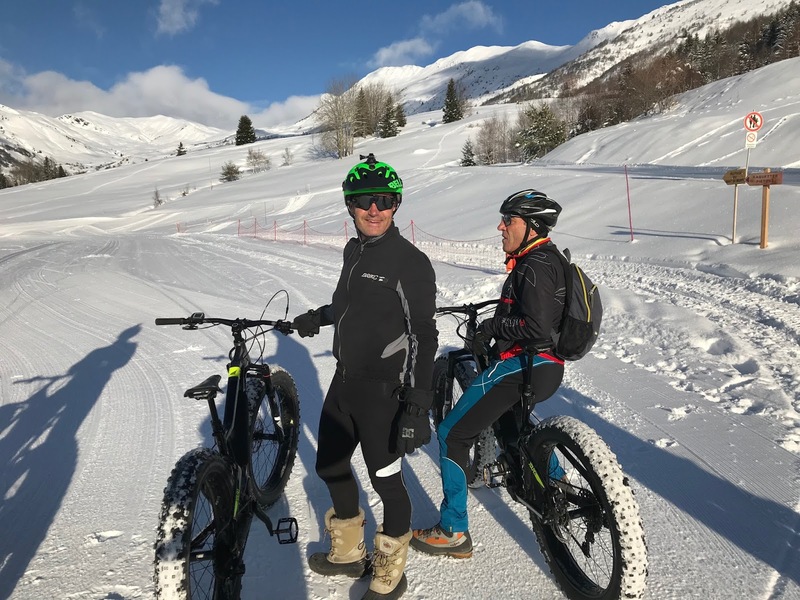 Nikki: This year our local Tourist office has launched a new activity in Naves, electric biking with a guide on the snow. It’s so much fun and you get to see remote parts of the mountain that you usually would not see. Can you tell me a bit about your cookery lessons? 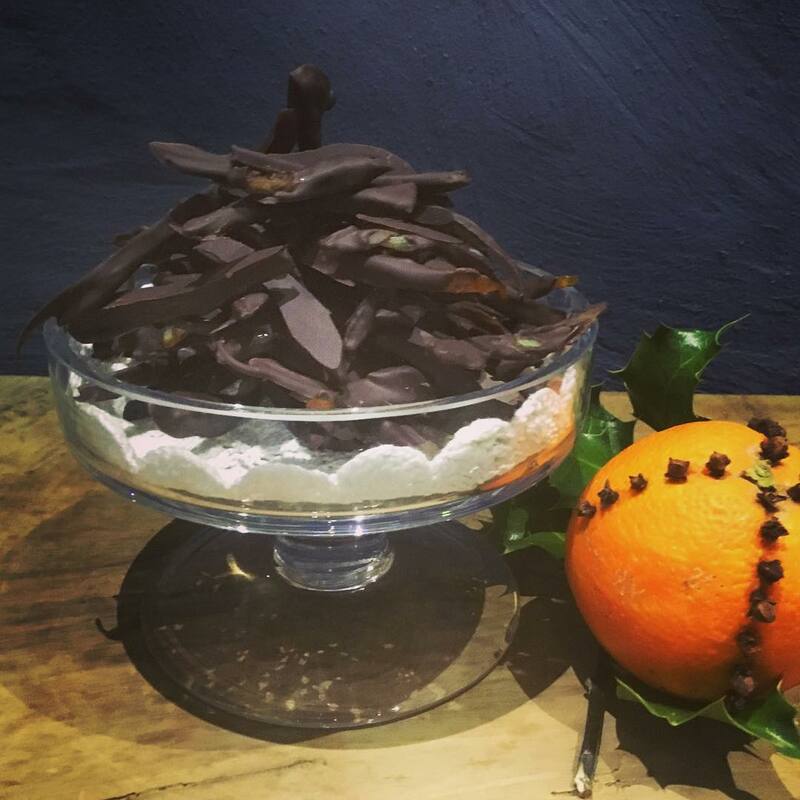 Nikki: If the guests wish to take a day off skiing, they often like to take a cookery lesson with me - local, seasonal produce is sourced and after three hours together laughing in the kitchen we sit and eat together. I arrange picnics, the local thermal spa visit, night snow shoeing with head lamps and a mountain guide to a small chalet in the forest for a fondue and génépy (the local drink). We are always available for the guests but never in their face, it's a balance we have achieved from the day we opened and something that our guests fully appreciate. How did you cope with the bumper snow season this winter? Nikki: The snow this year has been ridiculous, I have never seen so much in the 30 years of living here. 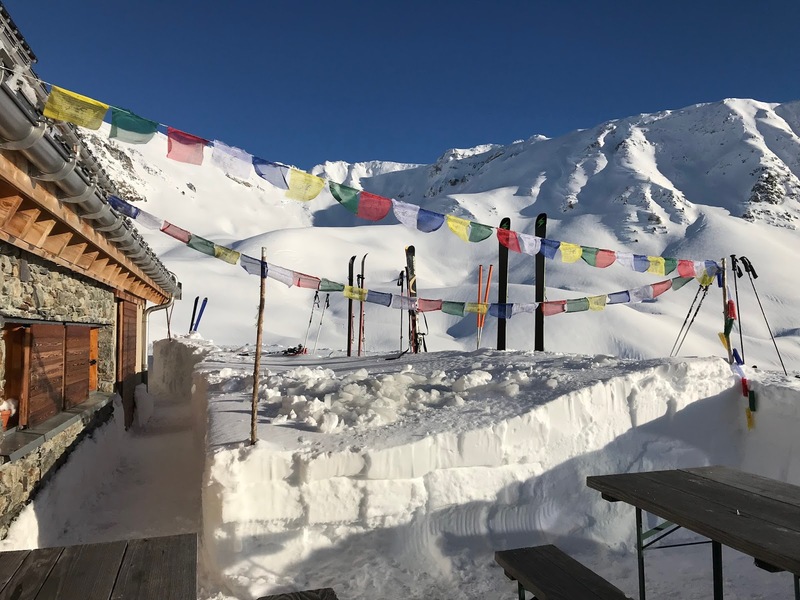 The cross country tracks were open really early, from the 9th of December, mountain guides were busy taking guests backcountry skiing above Naves, and the ski resorts have had every lift open all season. The snow conditions keep on giving, never have we had Spring powder like this. Each morning a fresh covering on the higher slopes, not much sun, not many people but perfect conditions. Those who were fortunate enough to book Easter in the Alps, certainly fell on their feet this year. Val Thorens still has a good 340cm of snow depth, staying open until the 8th May. 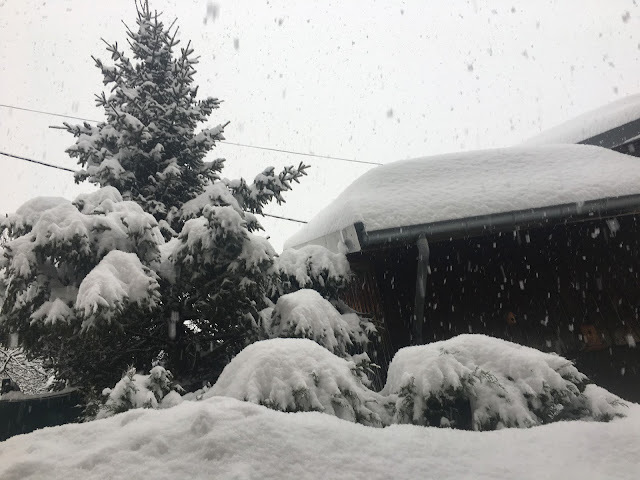 Méribel and Courchevel are closing on the 22nd April. Our south-facing cross country tracks in Naves are now closed but there is still plenty of snow for a little snowshoeing. What a season, even the instructors don’t have the usual tan and google marks this year. Snowing on a regular basis from the 27th November to now! How do people find out about Chalet Savoie Faire? Nikki: I only use Facebook and Tripadvisor to advertise - l used to use Sawdays and Chalets Direct but dropped them this year. 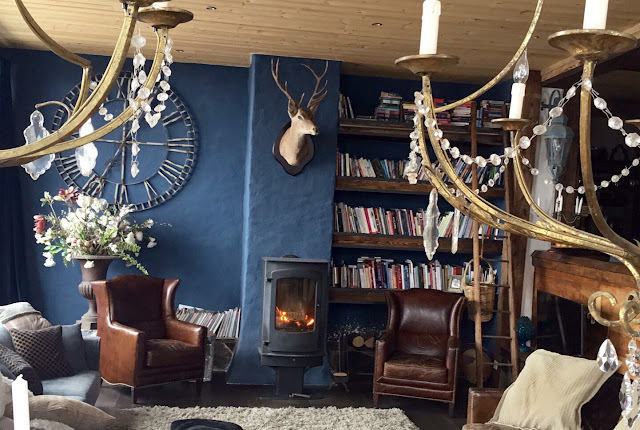 My brother-in-law, Paul Hudson stayed at Chalet Savoie Faire earlier this season and said the chalet was lovingly created from an old barn, re-using much of the original wood and stonework and incorporating many traditional Savoyard designs. 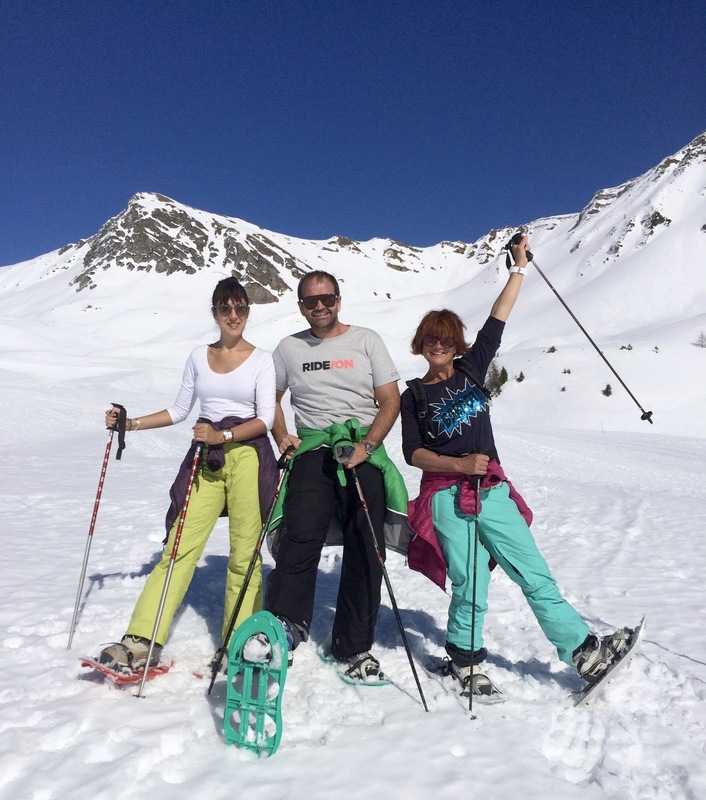 “Nikki is an amazing cook having run the Neilson chalet and hotel programme for 14 years,” says Paul who used to be her boss. 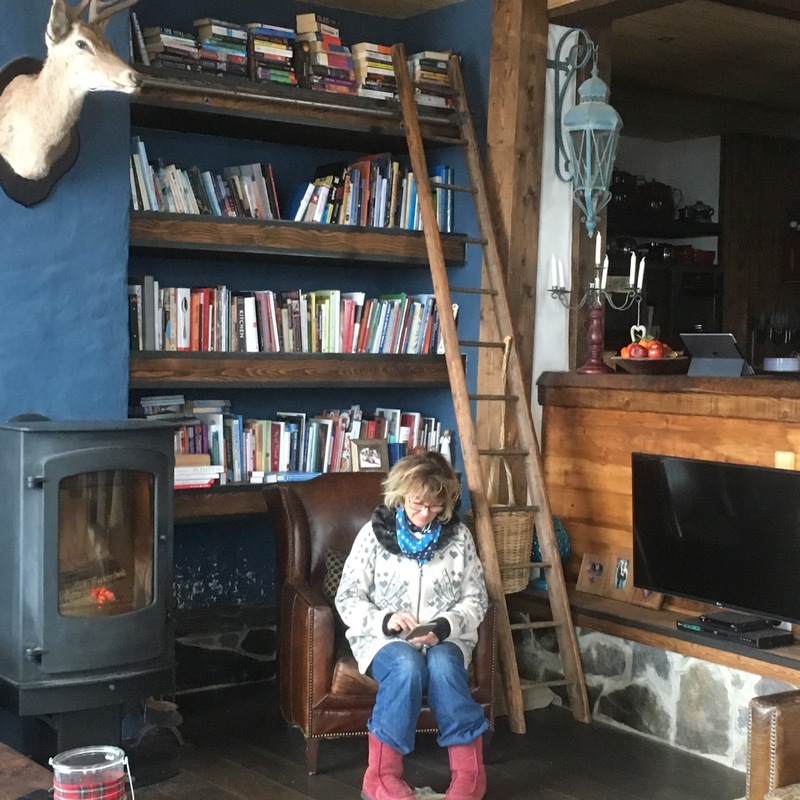 “She has set up a cookery school in the chalet – she prefers to teach groups of women vegetarian cookery although also hosts couples and families.” Farmers drop off produce, milk and cheese at the door every day. In the summer Hugh takes guests on mountain or road biking trips. “It’s a wonderfully peaceful place to relax and recharge and Nikki is the queen of ambiance,” Paul says. “She also loves yoga and arranges classes for guests.” The main house provides accommodation for up to eight people, with a beautiful open-plan living area, vaulted dining hall and walled terrace with views across the valley. Other bonuses include luxury bathrooms with gorgeous toiletries, flat screen televisions in every room and a cosy open fireplace. In his Tripadvisor review, entitled Food for the Soul, Paul rhapsodied about the vegetarian cookery classes which have given him much inspiration for home entertaining. Let’s hope he recreates them for Simon and me when we get to the UK in a few weeks! Have a great summer and look out for next season's blogs from November onwards! Back to Squaw Alpine after 27 years! 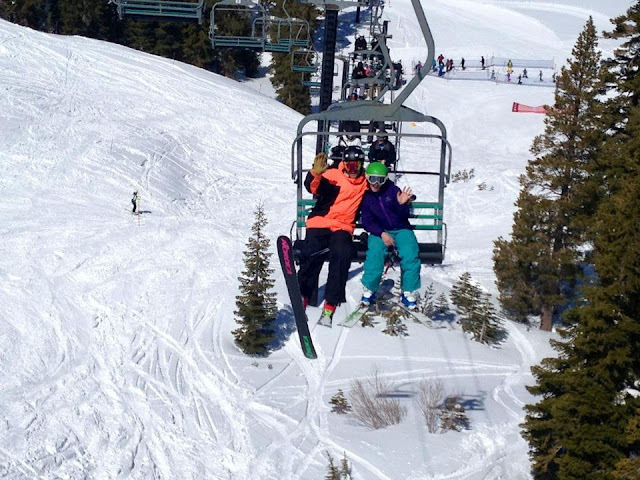 Going back to Squaw Valley after nearly three decades was bucket-list! The first day skiing I saw KT-22 which was the double black steep bumps run I remember ‘conquering’ when I was 30 and being terrified on – and I could see why! It is actually called KT-22 because Cindy Poulsen, one of the original owners, once did 22 kick-turns to get down it. Memory hadn’t magnified it, it had if anything minimized it and I can’t imagine how I managed to negotiate the man-sized moguls except by brute force (which I had a lot more of back then!) Fortunately for me I didn’t have to test myself against my youthful alter ego as it was closed that day due to high winds. I was there with my husband, Dr Simon Hudson (who, incidentally, is writing about all our Tahoe adventures for Hotelexecutive.com), and we had a fabulous first day being guided around the more laid-back sunlit slopes by Liesl Hepburn (née Kenney), Bode Miller’s cousin, and daughter of Bode’s race coach, Mike Kenney. 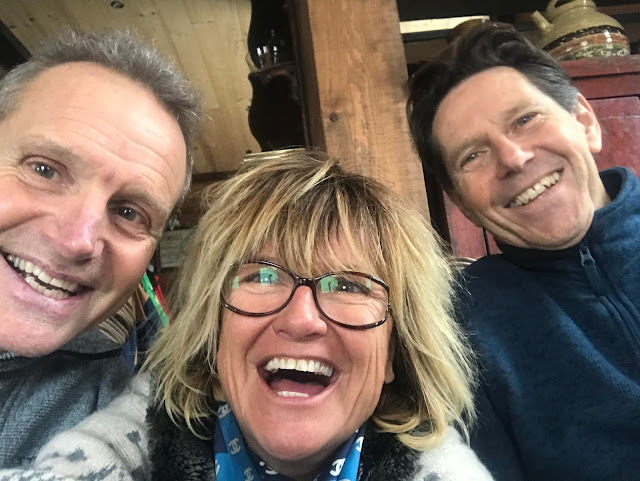 She skied at Olympic speeds herself, giving us a high-octane terrain tour and we had a great lunch together in Granite Bistro at the top of the Tram. The bar and tabletops are made of granite with huge panoramic windows overlooking the slopes and High Camp’s hot tub and sunlounging area. Memorable menu feature: Sonoma-smoked pheasant soup. You can also eat downstairs in a firelit cutsy cabin corner, ideal for more wintery days – first time I’ve ever seen a grand piano at the top of a mountain! Although it was back in 2011 that Squaw Valley combined with Alpine Meadows, not everyone realizes that the extra 2400 acres at Alpine is included on the same ski pass. Currently, the two areas are linked by bus or an easy 20 min drive. “Putting in the new gondola will change that, making us the third largest resort in North America behind Whistler and Park City with over 6000 acres,” said Liesl. 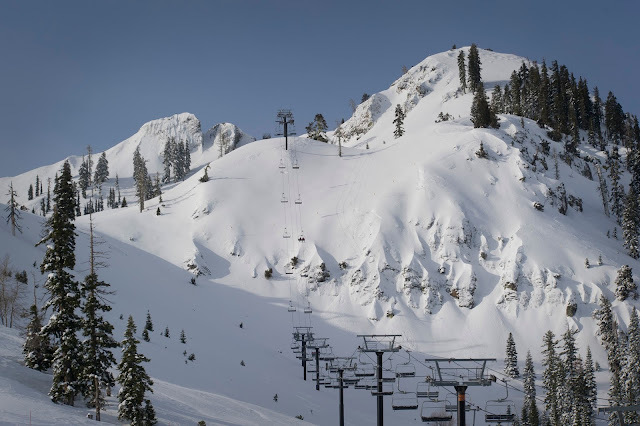 Called the California Express, it will run from Squaw’s base to top of KT-22 and on down to the Alpine Meadows' base and is slated for a winter 2019/20 launch. 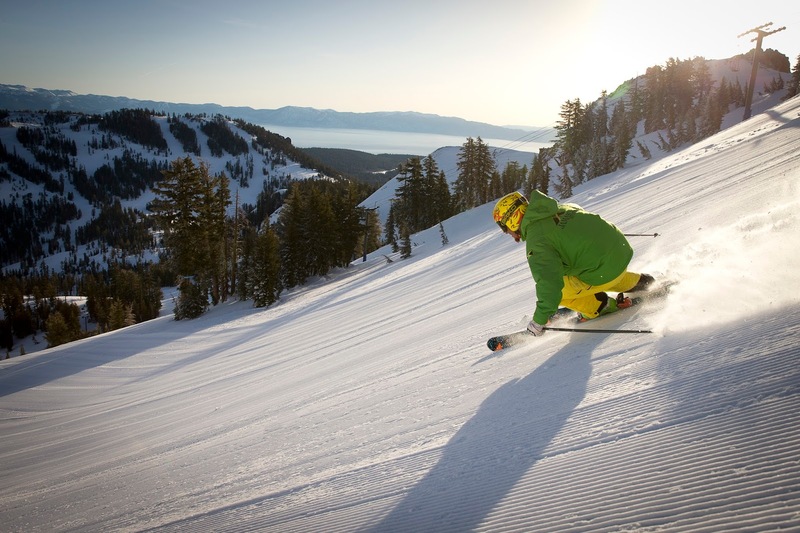 Voted 2016 ‘Best Ski Resort’ in North America by USA Today, Squaw Alpine’s most devoted fans are from the Bay Area which is an easy three-and-a-half-hour drive. Others come up from all over California and various US hub airports, with Canadians, Mexicans, Brits, Aussies and Germans bolstering numbers. But there is also a growing market from China more recently. “We established a partnership with Genting Resort Secret Garden two years ago with cross-training of staff,” Liesl explained. They also sent Jonny Moseley, their charismatic ambassador to Genting to consolidate links. “He visited the freestyle venue for the 2022 Beijing Olympics. In honour of the visit, they renamed the moguls course ‘Squaw Valley’ as a tribute to the 1960 Games,” Liesl said. “Instead of the typical ribbon cutting ceremony, Jonny skied the course and jumped over the ribbon.” In recognition of Genting’s visit to Squaw Alpine last May, there is now a Secret Garden run – the moguls under the Red Dog Chair. “There are even pass privileges between the two although as yet very few people have taken them up, but we have had some,” Liesl added, pointing out that skier numbers in China have gone from 200,000 in 2000 to 12.5 million in 2015 so it is going to be a key market. With the influx of newbies to wintersports a bit “flat” at the moment, Squaw Alpine is making skiing and riding more affordable with a $99 instruction/rentals/lift ticket package, available seven days a week at Alpine Meadows. 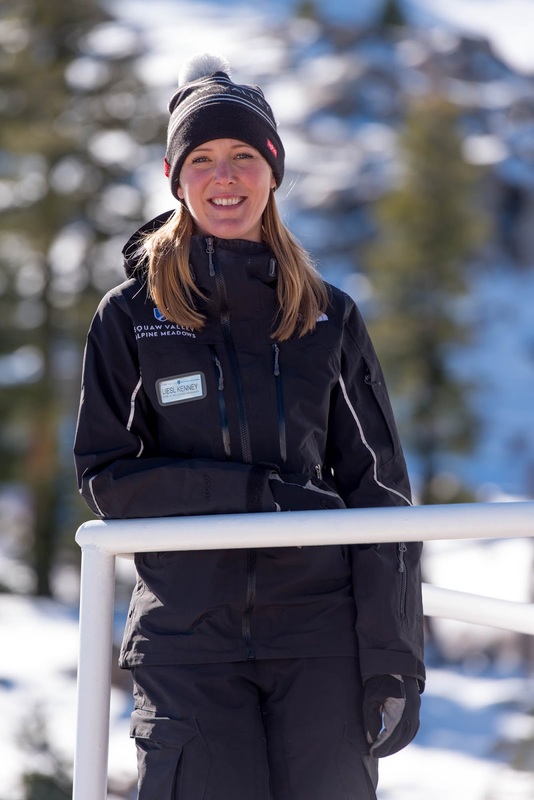 North Face has a big influence at Squaw Alpine, supplying all the staff uniforms, running a large sports shop in the village and sponsoring the North Face Mountain Guide program. “This program has private guides for up to four people, intermediate standard and up, for those who want to get to less obvious places and terrain they wouldn’t otherwise know about,” Liesl described. Each participant receives a Ventrix North Face jacket. 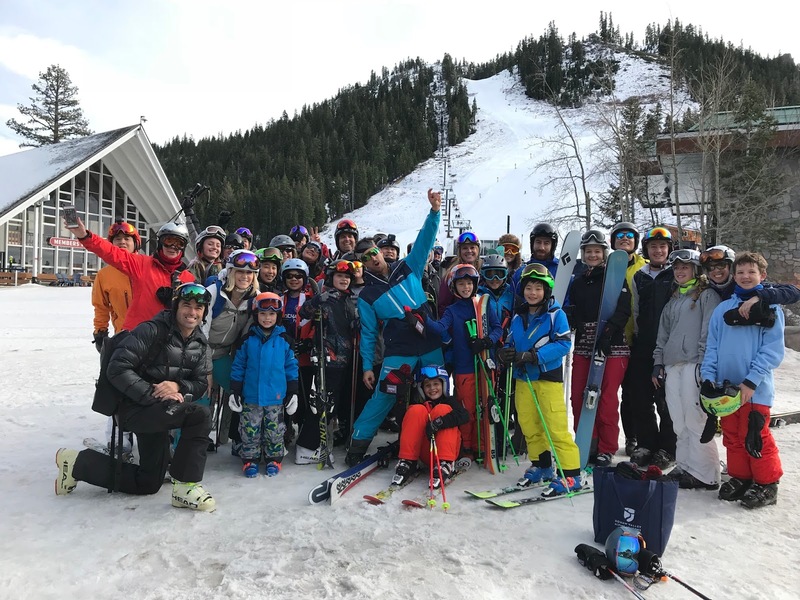 Another signature service is Jonny Moseley’s free Ski with an Olympian program which runs during the holidays, incorporating inspirational and instructional guiding as well as fun après ski. With many Olympians in the area including Bryce Bennett, the tallest Olympian for the US team at Pyeongchang, Liesl said that A. J. 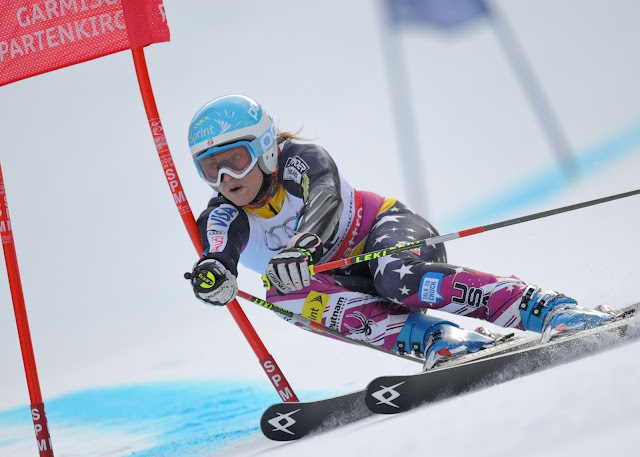 Hurt, daughter of a Squaw patroller is going to be the next big thing in racing. The resort made the most of the 2018 Games, launching it with a parade led by Travis Ganong on crutches – “He was power crutching through the village, with all the kids going insane,” said Liesl. Two local KCRA TV anchors reported on all the Olympic action from the village and there was a huge outdoor screen set up by the central firepits with deckchairs for daily viewing. 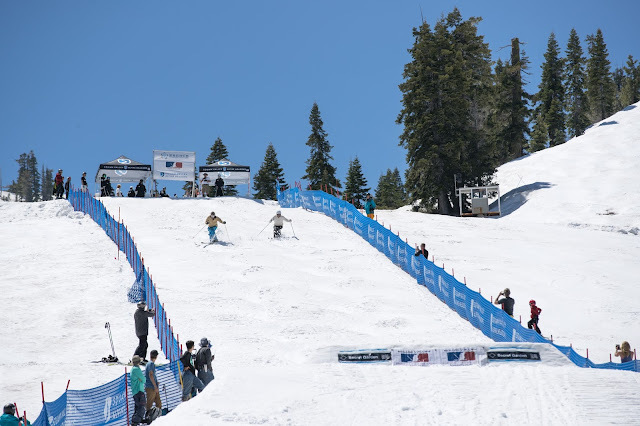 Squaw Alpine also hosted a World Cup weekend in March last year – their first since 1969 - with 90 athletes from 19 countries competing on the Red Dog Race Course. The village literally wasn’t there 27 years ago – just the two triangular Olympic buildings dating back to the 1960 Winter Games held there. Everything else has been built since. 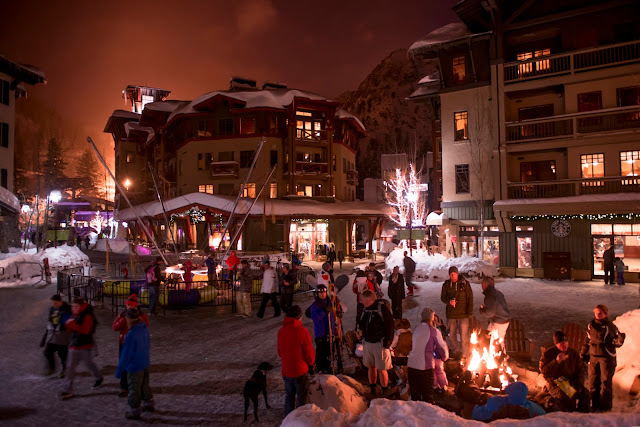 We stayed in a lovely large apartment at The Village at Squaw Valley®, with underground parking, a great outdoor hot tub and easy access to the lifts and all the fun après – there are nearly 60 bars, restaurants and boutiques. One of the best bars is 22 Bistro right near the lift stations, with a live music happy hour including a very dry Gruet Blanc de Noirs. That first night we had a big reunion at the Auld Dubliner Pub (really good Irish bangers and mash!) with an old friend from our tour operator rep days in Greece in the early 80s, Steve Urbani. Before gravitating to the island of Kos where we all worked for the summer of ‘83, Steve was a ski bum at Squaw Valley, bartending at what has now been reinvented as Olympic Bootworks and living above the post office. He’d gone to Europe initially to connect with extended family in Italy and wound up working as a ski instructor at Forni di Sopra in the Italian Dolomites for the 1982/3 season. He visited us in the UK after our Greek summer and then the only other time we’d seen him was in 1991 in Reno, links being re-established through Facebook a few years ago. He still has a home in Reno as well as a cabin on Donner Lake in Truckee. 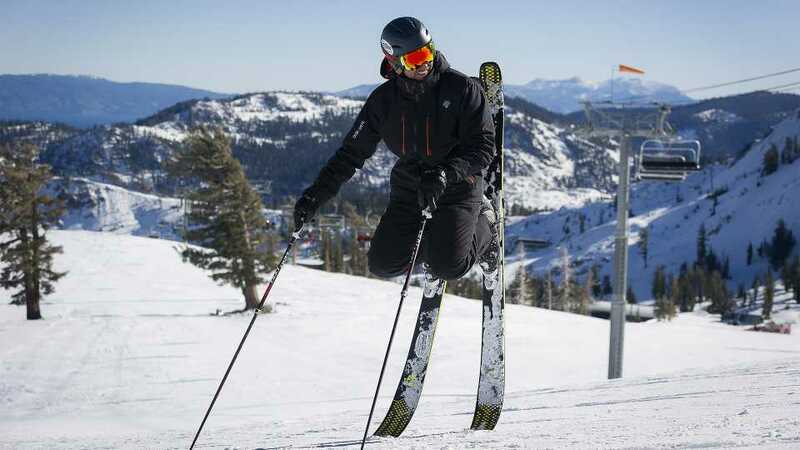 Retired from a career in psychology, he still skis Squaw Alpine every season, working as an adaptive ski instructor with ACHIEVE Tahoe at Alpine Meadows. Notching up over 60 days on skis each winter, he also gets passes at Mt Rose and Sugarbowl. Next day Steve showed us around Alpine Meadows, lunching at The Chalet which features alpine specialities including raclette and apple strudel. 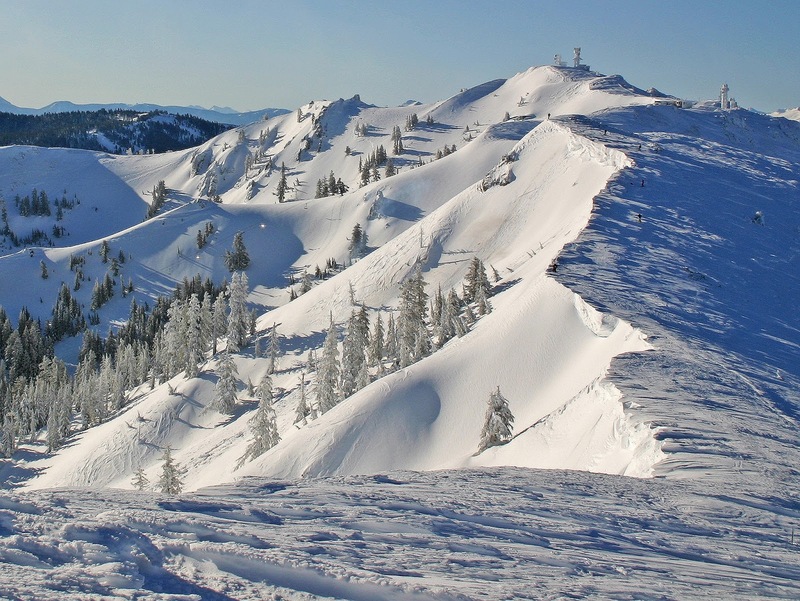 With so much experience at Squaw Alpine, Steve knows every nook and cranny, reveling in pockets of windblown pow, and waxing lyrical about the skiing off KT, Headwall and Sun Bowl in the spring. At nearly 65, he stays fast and fit with yoga, golf, paddleboarding and gym work. Squaw Alpine’s big news this season is its commitment to be powered entirely by clean energy next winter via its collaboration with Liberty Utilities. The resort has already supported many sustainable practices including a solar project - with 20 % more efficient dual-faced panels - that will offset 100 % of the footprint of the Alpine World Cup 2017. It also spearheaded a Ride On Bike to Work initiative which saved 8372 annual vehicle miles last year. Plastic straws are only issued on request around the mountain, there’s a ban on single-use water bottles, and a Green Bucks donate-a-dollar program has raised $40,000 for watershed protection. 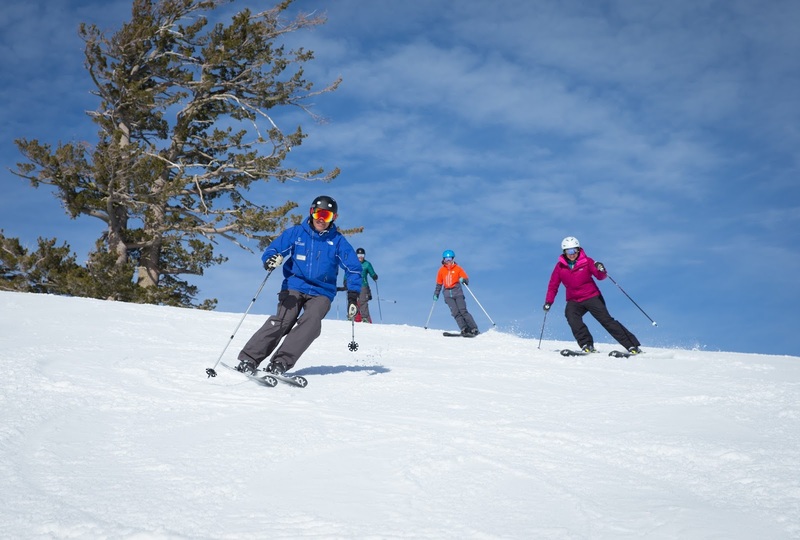 The resort teamed up with Protect ourWinters to give carpoolers premium parking, giving away 1021 free rides via the Chariot app, removing 7200 cars from roads and reducing carbon dioxide by 344 metric tons so far. 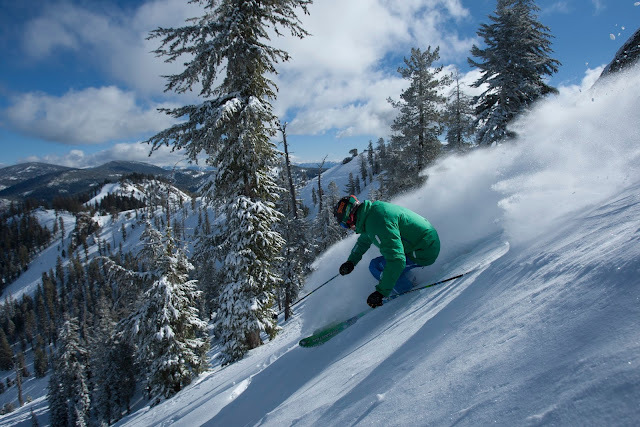 This season Squaw Alpine became part of Alterra Mountain Company, giving season pass holders the advantages next winter of being part of the IKON pass portfolio. Opening up 26 destinations and a total of 63,000 skiable acres in the USA and Canada to pass holders, IKON includes Steamboat, Winter Park Resort, Squaw Valley Alpine Meadows, Mammoth Mountain, June Mountain, Big Bear Mountain Resort, Stratton, Snowshoe, Tremblant, Blue Mountain, Deer Valley Resort, and CMH Heli-Skiing & Summer Adventures as well as pass partners Aspen Snowmass, Copper Mountain Resort, Eldora Mountain Resort, Jackson Hole Mountain Resort, Big Sky Resort, Killington Resort, Sunday River, Sugarloaf, Loon Mountain Resort, Sugarbush, Alta Ski Area, Snowbird, SkiBig3 in Alberta, Revelstoke Mountain Resort in British Columbia. Wanderlust Yoga Studio, located in the Village at Squaw Valley, offers meditative yoga classes that are perfect pre-or-post a day on the slopes. The Pre-Ski Flow class helps you hit the slopes at your very best with less chance of injury. The class is designed to enhance lower body performance, with special emphasis on legs and hips. 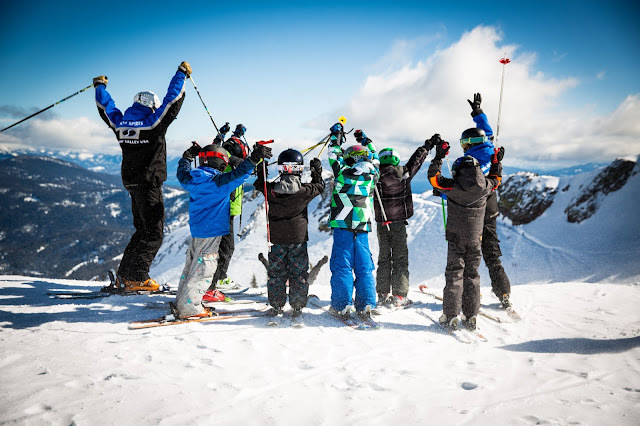 The Après-Ski Restorative classes helps restore tired muscles through stretches aiding flexibility and suppleness. 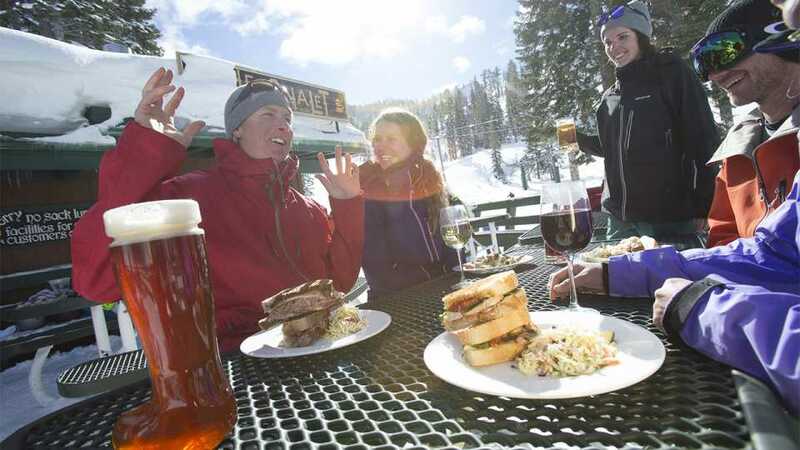 Moonlit Snowshoe Tour & Dinner: After the mountain closes and the winter moon rises, experience a snowshoe tour to the mid-mountain Chalet at Alpine Meadows. This intimate seated dinner with new friends features an Alps-inspired menu with dishes like potato cheese soup, chicken cordon bleu and apple strudel. This unique experience is only available for 50 guests during select dates over the winter season.